Ashley Brettingen focuses her legal practice in consumer litigation. She represents national banks and credit card companies across the country in both individual and class action consumer financial services litigation. Ms. Brettingen is experienced in litigating all manner of consumer protection claims, including federal claims under the Fair Credit Reporting Act (FCRA), the Truth in Lending Act (TILA), the Fair Debt Collection Practices Act (FDCPA), and the Telephone Consumer Protection Act (TCPA), as well as claims arising under state consumer protection and privacy laws. Ms. Brettingen also represents mortgage lenders and servicers in mortgage-related litigation, and is experienced in defending against claims involving the origination, transfer and assignment, and foreclosure of residential mortgage loans in both California and Minnesota. She also practices in the areas of business litigation and employment litigation, and has successfully represented corporate employers and their employees in cases involving claims for discrimination, wrongful termination, and retaliation. 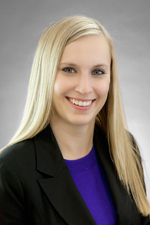 Ms. Brettingen joined Hinshaw & Culbertson LLP in October 2012. Previously she was a summer associate with the firm in 2011, and a law clerk in 2012. While an undergraduate at Macalester College, she served as an intern to Sarah Boyack, Member of Scottish Parliament for Edinburgh Central, in Edinburgh, Scotland.